All the transactions regarding any account is shown here. 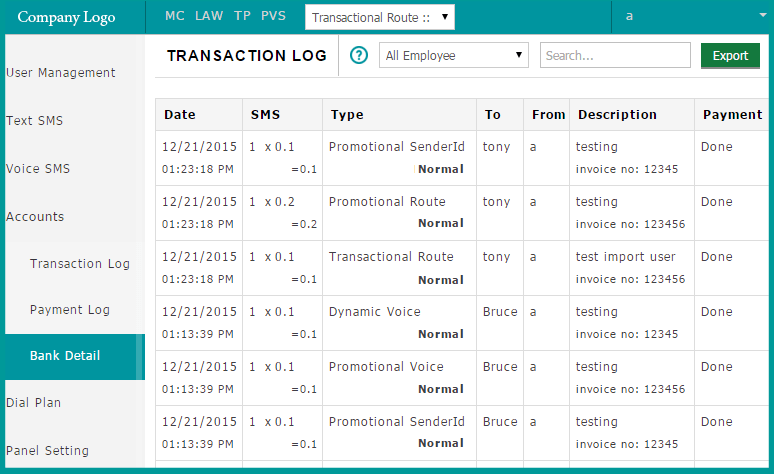 Transactional Log contain “Sms type” and its “description”. To check whether the transactions performed in your account are correct or not.